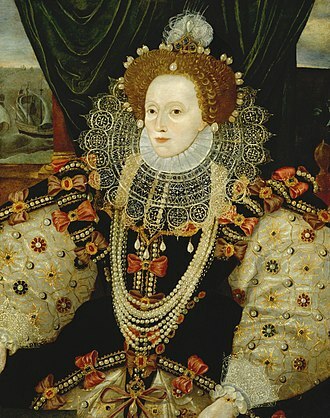 Once a fashion statement, the Elizabethan collar has taken on a new meaning and a new purpose. It looked uncomfortable, ridiculous and impractical when the Queen wore it. 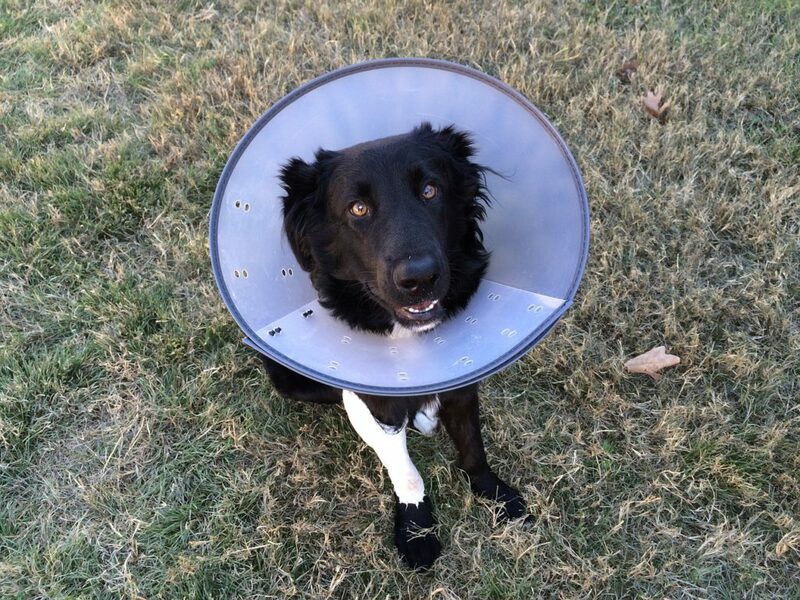 Also called the E-collar, for short, I’m referring to a collar designed to prevent a dog from being able to lick or bite a wound or surgical suture. I’m not referring to an Electric (shock) collar. 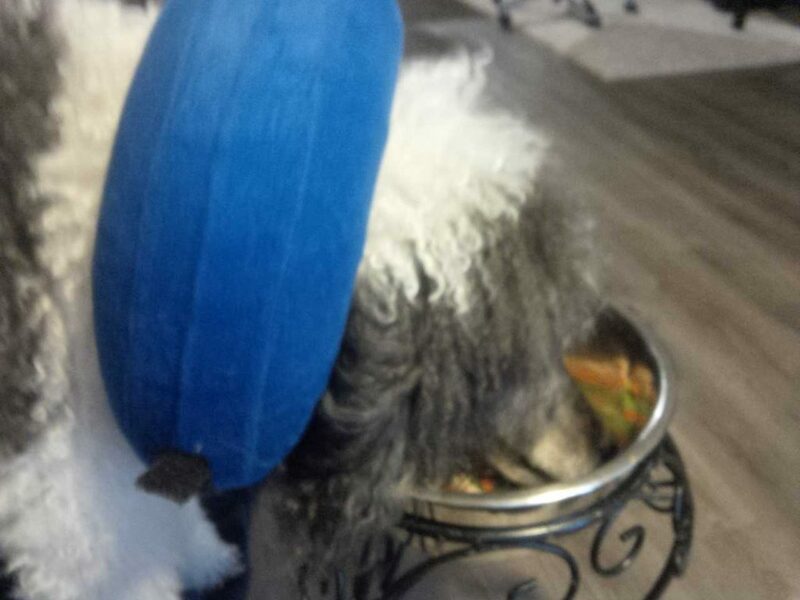 If your dog has ever had the unpleasant experience of wearing an Elizabethan collar made of clear plastic that resembles a lamp shade, you know how difficult it is for your dog to eat, drink, or do many of his normal activities because the collar extends passed his nose and additionally, he can only see straight ahead. It’s also bulky and clumsy and the poor dog is probably banging into walls and can’t find a comfortable position to sleep. Sometimes they walk with their head down and the collar scraping along the floor if they are sniffing the ground or trying to pick something up. If your dog is in a crate, the use of a cone shape Elizabethan collar can make it almost impossible for your dog to turn around. So, here to model for us, is Wolf, wearing an inflatable collar that serves the same purpose yet allows for normal activities. In addition to the one shown in the photo, there are other versions that are made of padded fabric and even shaped like the pedals of a flower. Some, like the one Wolf is wearing is only worn around the neck and not covering the dogs ears, head or face, allowing for comfort and mobility, and will not hamper eating or drinking out of a bowl. Playing with a ball or chew toy is almost business as usual. Chances are that if your dog is given an Elizabethan collar by your veterinary office it will be the hard-plastic lamp shade type. However, most veterinarians would have no objection to the use of a more comfortable collar as long as it offers the needed protection against your dog disturbing a wound, sutured surgical procedure or bandage during the recovery and healing time. All the alternative collars are available in your favorite pet super-store or on-line and are reasonably priced. Your dog will thank you for it.